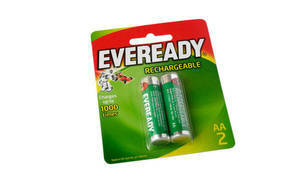 Bottom line: The Eveready Rechargeable RE15BP2T has just OK battery life per use and excellent long-term endurance. Just OK battery life per use. Besides the two versions of Panasonic’s Eneloop rechargeable AAs, the only other battery in our round-up worth considering is the Eveready Rechargeable AA. Even though it returned the worst-equal run time per use of just 76 minutes in a high-drain device, it lasted 419 charge/discharge cycles before our impending publication date forced us to stop the test (it still hadn’t fallen to half its capacity). As a result, its total lifetime capacity is the best on test. If you don’t mind charging batteries much more often, this battery offers the best value for money. We place the batteries in a computer-controlled test rig that charges them, then discharges them at a rate equivalent to the demand of a high-drain device — like a remote-controlled car. Once the cell voltage reaches 1.0V, equivalent to empty for most power-hungry devices, the rig charges them again. We judge each battery’s long term endurance by measuring how many cycles until its capacity falls to half its initial value. The battery’s average capacity over the amount of charge/discharge cycles before failure gives our battery life per use score. 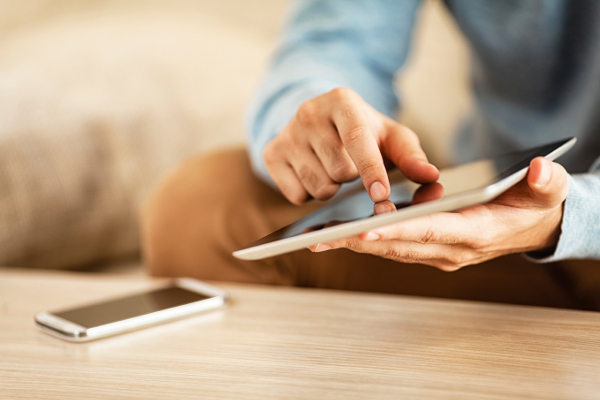 Rechargeable batteries gradually lose charge while sitting idle. We measured this rate of “self-discharge” for each battery to get our charge retention in storage score. We also look at the ruggedness of each battery’s construction by placing them in a rotating cylinder (a bit like a gentle tumble-dryer) for 24 hours, before taking them out and sorting them from least to most damaged.